Female terrorist released in the Shalit deal and recaptured agrees to end a 43-day-old hunger strike in exchange for release. A female terrorist who was released in the Shalit deal in the fall and was recaptured in February, agreed to end a 43-day-old hunger strike on Thursday, after Israel agreed to release her. Hana Shalbi, a terrorist from the Islamic Jihad organization, was arrested by an IDF force at her home in the village of Burkin, west of Jenin, after Israel gathered" completely certain" intelligence information regarding her intent to return to terrorist activity. Shalbi was originally arrested for terrorist activity in 2010. She refused to cooperate with interrogators and was violent towards them. This violence included threatening their lives, trying to attack one of them, spitting at police officers, and even biting a policewoman. Even though there was not enough evidence to criminally prosecute Shalbi, she was taken to administrative detention for six months because of the very reliable intelligence information that had been gathered and which tied her to terrorist activities. The arrest was upheld in all the courts, including the Supreme Court. Her administrative detention was extended several times and she was held for two years until her release as part of the Shalit deal. As part of the agreement for her release on Thursday, Shalbi agreed to be deported to Gaza for a period of three years. After that time she will be allowed to return to Judea and Samaria. Another terrorist, Khader Adnan, had gone a on a hunger strike for 66 days to pressure the State to release him. The hunger strike resulted in Adnan being admitted to hospital. He launched the hunger strike to protest his administrative detention and the strike became a cause célèbre for anti-Israel activists and Arab propaganda organizations. His attorney appealed his administrative detention order to Israel's Supreme Court. 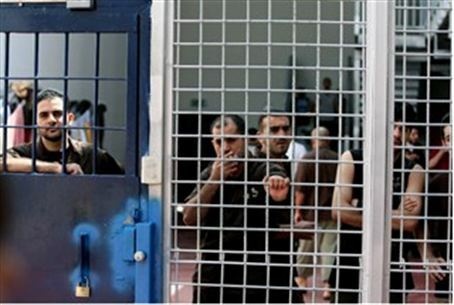 The State later caved in to the pressure and agreed not to renew Adnan’s administrative detention order. He, in turn, agreed to end his hunger strike and will be released on April 17.